STEPHENVILLE– The No. 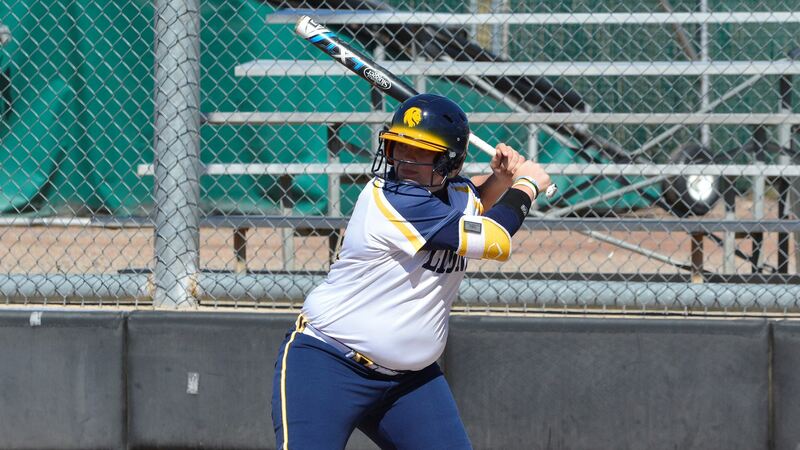 8 Texas A&M University-Commerce softball team fell 10-4 to No. 21 Tarleton on Thursday night. The Lions scored the first four runs of the game but were held off the board in the final six innings. – Avery Boley (Fort Worth – Nolan Catholic) had a three-RBI double in the first inning. She also scored a run. – Vanessa Muro (Oak Hills, Calif.) had an RBI single. Jodie Hill (Heavener, Okla.), Kayla Kilcrease (Kerens) and Madison Schaefer (Frisco – Independence) also had hits. Hill, Kilcrease, and Schaefer also scored a run apiece. – Emily Otto (Richmond – Lamar Consolidated) pitched a complete game for the Lions. She struck out four batters. – The Lions scored the first four runs of the game before surrendering 10 unanswered runs. The Lions jumped out to a quick lead. Hill bunted for a hit. After two walks loaded the bases, Boley hit a ball deep into the gap to clear the bases on the double. She scored on a single from Muro. TSU scored three in the bottom of the inning to respond. The Lions led 4-3 after one. The Lions did not surrender a run in the final two innings, but their offense could not find the rally it needed to get back into the game. 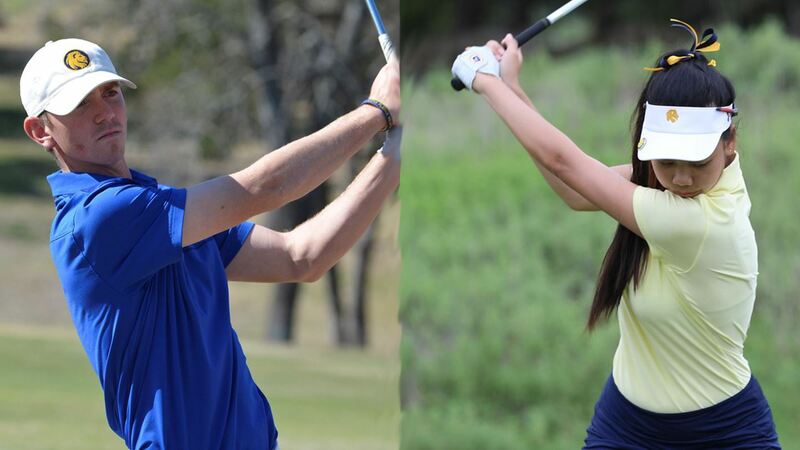 RICHARDSON– Texas A&M University-Commerce golfers Sarah Wongsinth and Blake Hartford have been named the Lone Star Conference Golfers of the Week. The awards were announced by the conference office on Thursday. Wongsinth earns her second consecutive LSC Women’s Golfer of the Week distinction while Hartford earns his second Men’s Golfer of the Week award of the 2018-19 season. Hartford– a junior from Spring (Klien Collins)– claimed his first championship of the season at even par 210 (72-71-67) at the UAFS Hardscrabble Invitational. He shot a 3-under par 67 in Tuesday’s final round with five birdies. Hartford’s efforts led the Lions to a comeback tournament win. The Lions won their second consecutive tournament to close out the regular season. The championship gives Hartford his first top-five finish and third top 10 finish of the season. Wongsinth– a sophomore from Udon Thani, Thailand– earned her first collegiate medalist win, shooting an even-par score of 210 (70-71-69) for the 54-hole event at the UAFS Hardscrabble Invitational to win by three strokes over the second place finisher, and 13 strokes over the third-place finisher. She shot a 1-under par 69 on Tuesday, with four birdies in the round. Wongsinth has now finished in the top five in five of the season’s nine events and in the top 10 in eight contests. The Lions competed in nine games this season and earned a team championship in at least one event for the third straight year. A&M-Commerce finished in the top five in the team standings of every contest in 2018-19. Hartford, Wongsinth, and the Lion golf teams now set their sights on the LSC Championships. The tournament will be held on April 22 and 23 at the Diamondback Golf Course in Abilene.